Le Cadre Studio offers individuals and group the opportunity to indulge in an unique art experience. Le Cadre exhibits a year round calendar of exhibitions by local and international artists, with prime focus on contemporary art from the middle East Asia . 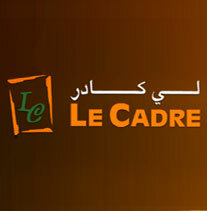 Le Cadre consulting is a dedicated art consulting division which includes the selection and procutement of art, framing, sculptures for personal residences to corporate environments such as offices, restourants, furnished apartments and hotels.In addition, Le Cadre eventsdelivers corporate team building sessions tailored to your companies needs. We believe that art should be placed in its complimentary environment to benefit our clients by enjoying the enrichment that living with art offer. We help our clients acquiring and maintain the finest art suiting the specific needs while remaining sensitive to their allocated budget. Our portifolio includes Original works, linited editions and reproduces from local as well as international artists. We work directly with our clients as well as architects, interior designers and artists to create best suited art concepts that will compliment the design schemes of the space and positively enhance their corporate and private environment. Our goal is to build long term relationship with our clients. Our uniqueness of being multifaceted art company having a studio, gallery and special art projects division provides the main source of presenting many upcoming artists who are yet to be tapped into the project world.